The other day my kids and I were in the kitchen, when they broke into screams. Because of one tiny ant that had made its way inside the kitchen door. Once I had figured out what all the screaming was about, I began to look for more ants. To my dismay there were a bunch of ants walking up and down the steps on our patio that lead to the kitchen door. We spend a great deal of time on our patio every day, so chemicals are a last resort. My solution...cucumber peels and corn starch. All you need to do is peel a cucumber and place the peel where the ants are located. Leave the peels there overnight and pick them up in the morning. 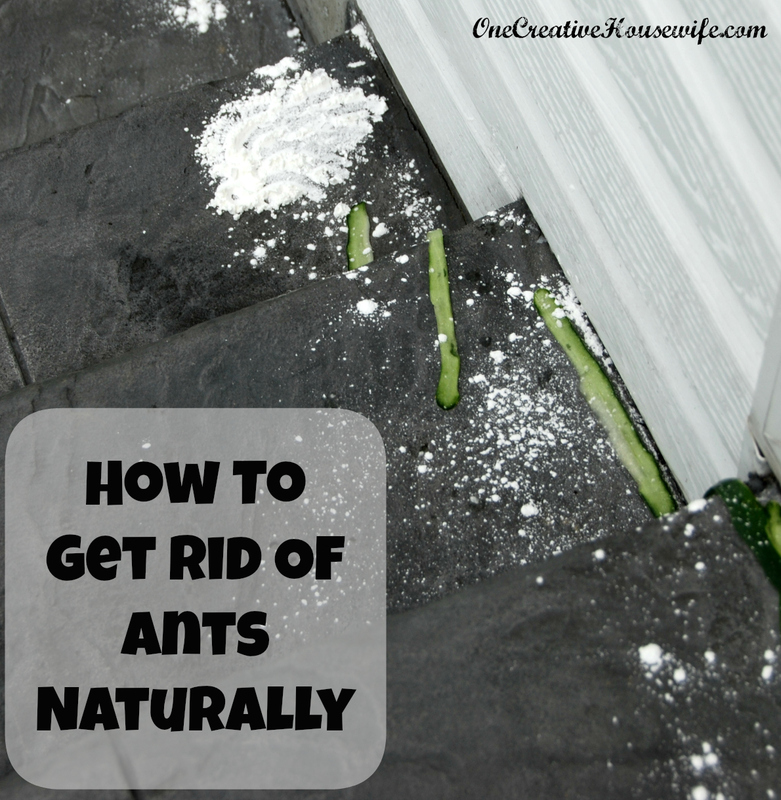 Sprinkle some corn starch along the ants' path. The ants will carry some of it back to their nest and ingest it. Their stomachs can't digest the corn starch and bingo no more ants. This method may take 2-3 days to see results. If you allow a toddler to put the corn starch out, you will end up with a giant clump like I did. This is completely unnecessary, just a sprinkling should do. If it happens to rain over night you may need to replace the corn starch. Technically, either method will work on its own, but when screaming children are involved, why risk it. Cool ideas. I will definitely try them out. I've never heard about the cucumber method until now. I'm curious to see how that works. I just wanted to mention that you can also buy products (http://www.domyownpestcontrol.com/boric-acid-c-114_122.html) that are made with boric acid, a completely safe and natural powder. what does the cucumber peel do to the ants? Honestly I have no idea! It is just something I have done for years and it always works. Thanks! and Thanks so much for the feature!!! Self rising corn meal kills ants, they carry it back to their nest and they swallow it and the self rising corn meal swells them up and they die, it also works on roly poly bugs. Great ideas - I've also used a vinegar/water spray to help deter ants.